This month we discussed lot of projects about irrigation and how we can make it greener. 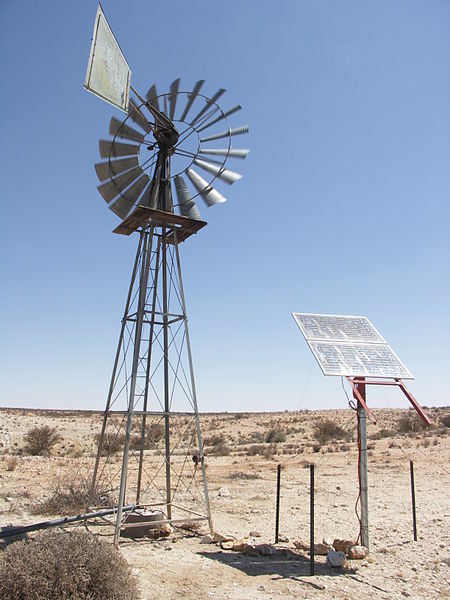 This idea of solar powered pump is also a part of that series which includes drip irrigation using wind energy and mechanical sprayer.Solar pump is a useful device for irrigation. In my opinion at hot places solar energy is much better than traditional methods because it works during day time and consumes no electricity or any fuel. Yes, it has already been implemented in some part of Africa and according to Stanford study it is profitable too.Moreover, according to Science daily article the first solar-powered irrigation system at the U.S. National Arboretum was installed by students from Alfred State College and workshop participants in 2009. Pumping can be done using traditional method we used in windmill pump, with only difference is here we will use dc motor to power our pump instead of wind. When photovoltaic modules(1800 Watts) are exposed to sun it generates D.C. Power and with this power a 2 H.P. D.C. Battery Storage: Batteries help you to store solar energy into electrical energy. Amount of needed batteries and size of solar panels depends on the irrigation area. Store water at height: Here we convert solar energy into potential energy. To pump the water at height you will need large energy. 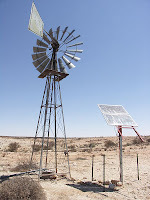 To overcome this problem we can use two solar pumps, one to get water out from the tank and second one is used to transfer this water to height. Implementation of this project on large scale is costly.1800 Watts solar panel would cost you around $8 890.8 depending upon your locale and government subsidies. Even though,this technology is costly but it mostly depends on the individual requirements.It can be cost effective if implemented wisely with individual specific requirements such as Weather, Well depth, Storage Tank, Government subsidies etc etc. Moreover with the use of drip irrigation system we will need very less water to pump and proportionally less solar power. Solar energy comes in small packages called photons. These photons hit the outer level electrons in the photovoltaic cells like the flappers hit the metal ball in the pin ball machine. The dislocated electrons form the electrical current. This current is used to power dc motor attached to the water pump.